February 5, 2017 September 8, 2017 - by HAHAPPY - 6 Comments. If you’re looking for Best Gifts For A 2-Year-Old Boy and struggling with ideas, we got you covered and will get you in the right direction. By age 2, boys are moving from one milestone to the next. He is a getting more active and becoming a little explorer. And like any young kid, 2-year-olds are full of energy, and they like jumping, running, and playing. He also requires toys and plays activities to help him get through the next stage of childhood development. 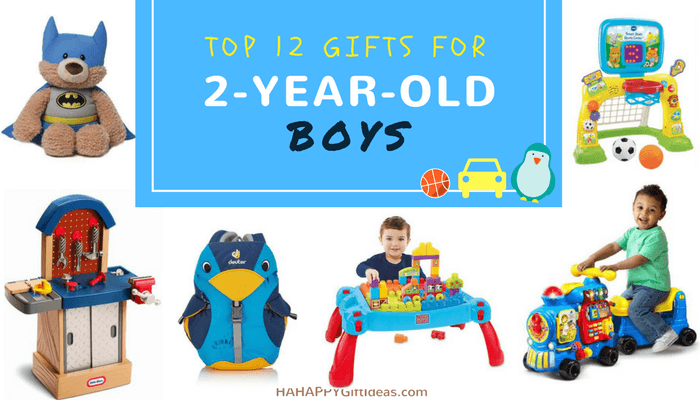 So, our gift list for a 2-year-old boy included gift ideas from educational toys to activity learning tables, sports toys, musical toys, electronic wheels, building blocks, playhouse, pretend toys, book kits, and drawing materials. Check out our favorite picks that both the little boys and parents will LOVE. 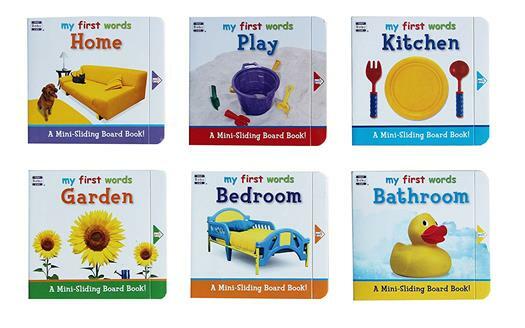 Finding the best educational toys for 2-year-olds? Look no further. 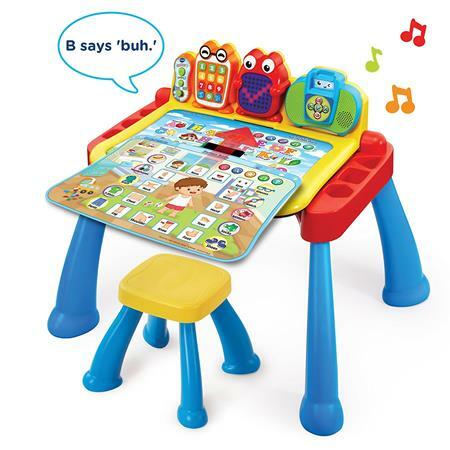 Your 2-year-old boy is bound to have a dynamic learning experience with this Touch & Learn Activity Desk™ Deluxe by VTech. Education and entertainment go together with this interactive learning desk. It’s time to place the “fun” in fundamentals! Searching for age appropriate toys for 2-year-olds? 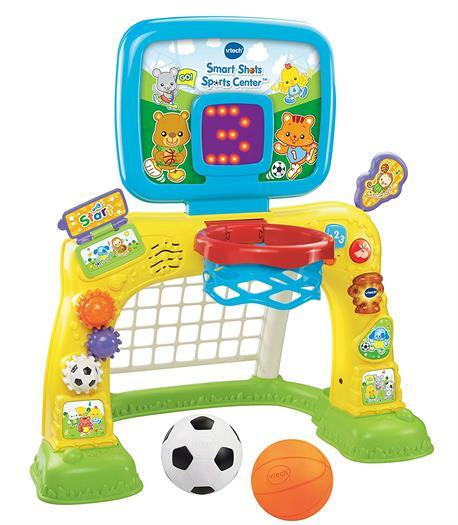 Get your little boy active with VTech Smart Shots Sports Center! 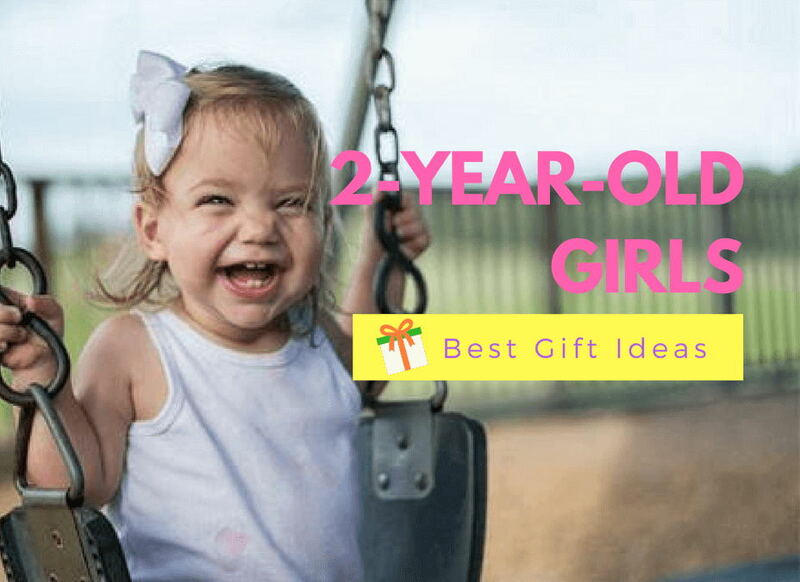 This 2-in-1 sports toy is one of the best gifts to engage a 2-year-old’s muscles while having fun. It’s perfect for strengthening leg and arm muscles. Let your little boy score and learn with the Smart Shots Sports Center! Among all the 2-year-old birthday gifts is this VTech Sit-to-Stand Ultimate Alphabet Train. Little boys love anything with wheels! This awesome train is not just a vehicles toy, but also an educational toy with manipulative features. At age 2, boys love to play music. 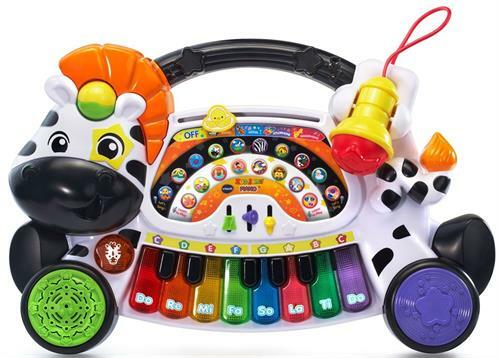 Musical toys can help stimulate toddlers’ senses, and now your little one can be rock stars as they play, sing and rock out with this VTech Zoo Jamz Piano. There’s tons of fun loaded into this musical toy. Need toys for 2-year-old boy birthday? 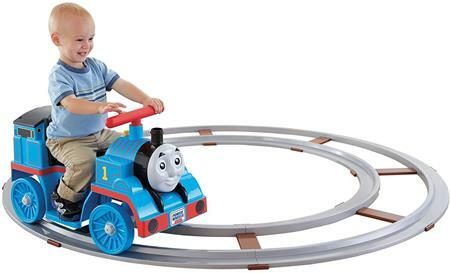 Then giving your young boy a wonderful riding experience with Thomas! 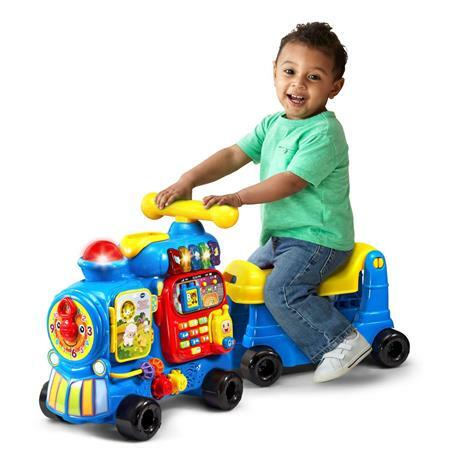 The 2-year-old boy on your gift list will be absolutely excited and happy with this fun styling Fisher-Price Power Wheels Thomas & Friends Train. Learn, Play and Explore! 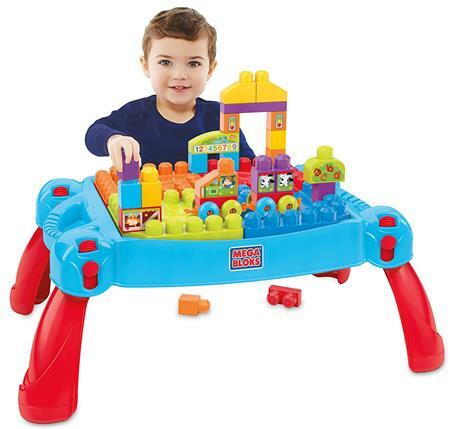 This bright and bountiful Build and Learn Table by Mega Bloks is an excellent gift and ultimate toy for a 2-year-old boy, and it’s loads lots of FUN! Let your 2-year-old boy creativity unfold as he builds an entire town on the portable table! 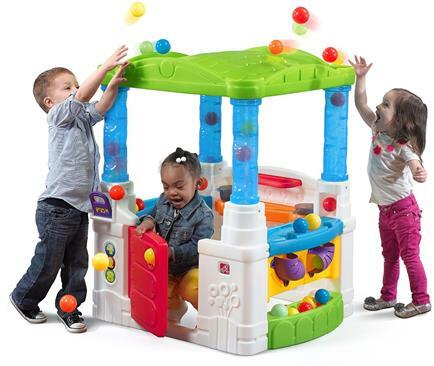 Wonderball Fun Playhouse by Step2 is a magical gift for 2-year-old boys. It has so many awesome features to play with and will keep the kiddos active for hours. This playhouse is full of FUN!! 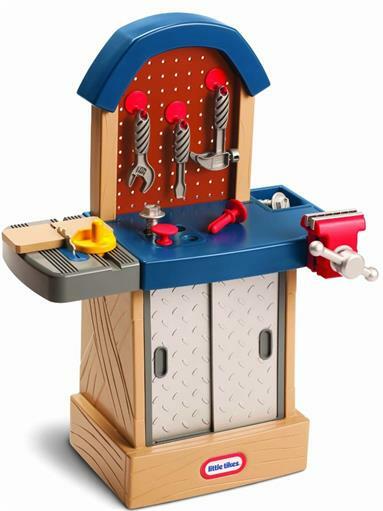 If your boy loves to pretend to build things, this Little Tikes Tough Workshop would be the perfect gift for his 2nd birthday. With this fun workbench, anytime is building time! Educational books are always the best gifts for a 2-year-old boy as it can enhance their literacy and language development. Your Baby Can Learn! 4-Level Kit is one of the best choices that encourage the little one to participate and learn! 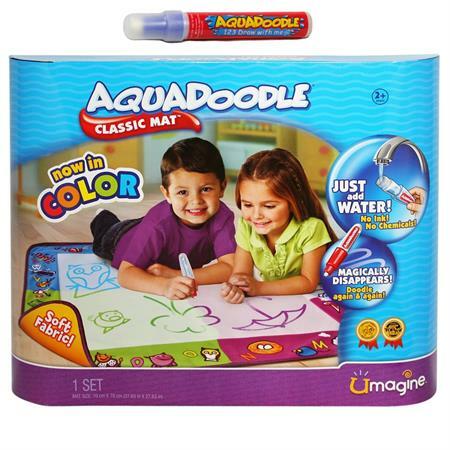 Gifting the Aquadoodle Draw N Doodle Classic Mat will allow kiddos to get creative and draw freely. It is also a dream gift for parents as no more messes and stains. Creativity and imagination have never been this clean! 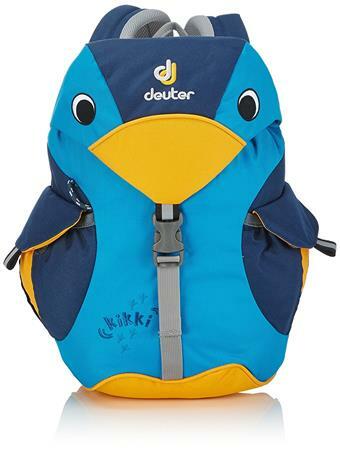 Little boys will look so adorable with this Deuter Kikki Backpack. Durable materials and whimsical details make this cute backpack the perfect gift for on-the-go! If you’re looking for a gift for 2-year-old boy who has everything, search no more. 2-year-olds love having a bear toy to get a sense of security. Why not gift your boy a bat-bear? It is super soft and irresistibly cute. Your little superhero will snuggle with it all day and night. 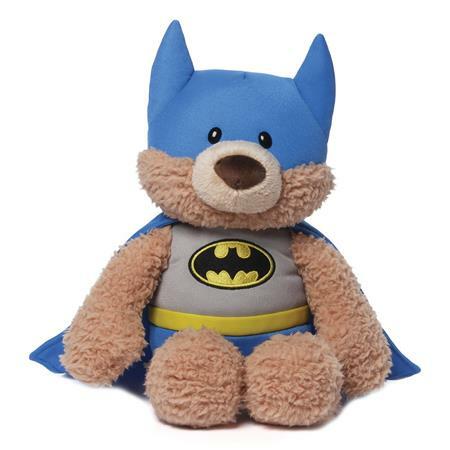 This huggable Batbear is not just a great gift for your 2-year-old boy, but it is also his best buddy! every time when I am invited to my friend’s little baby’s party… I seriously have no idea what to buy. too many things to consider and worried as little kids get hurt easily. especially boys. the product info you shared are short & simple. I like it! Thank you for your sharing and kind words. We also have gist list for teenage boys and guys in 20. Kindly have a look.